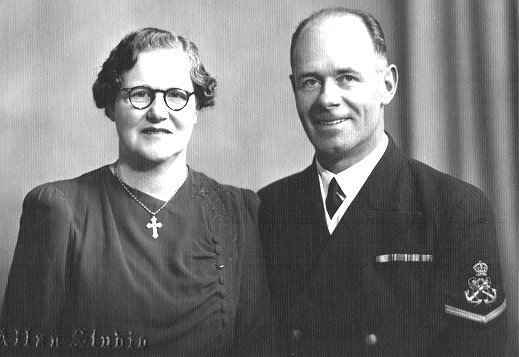 George left London on April 10 1914, sailing from on the SS 'Indrapura' bound for Melbourne, Victoria, Australia. 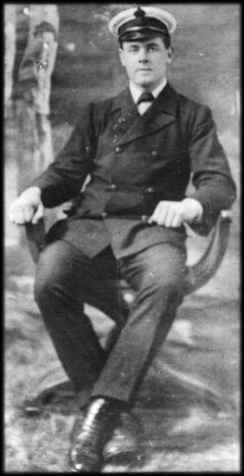 He was 17 and was said to be going with a cousin (not yet identified, but had to be from the Ricketts family). They spent some time in the outback, working for a farmer who fed them only on jam sandwiches. Eventually they managed to escape by climbing a fence. This photo was perhaps taken a couple of years later. George in a uniform without any markings must have signed up (for the navy) only recently. 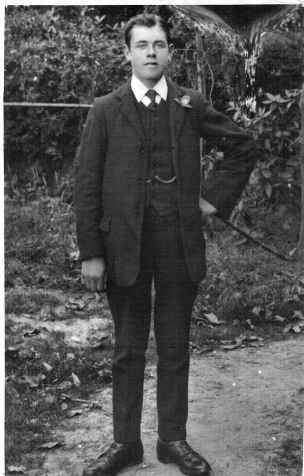 It was thought to have been taken in Woking but in a studio with a large woodland backdrop (largely removed here to keep the size down) it could have been taken especially to send home to England. Can anyone shed any (more) light on this, or do you recognise any of the rest of the men? If you want a particular face picked out please ask - it will be easier than trying to make everyone clear at the same time! These uniforms look more finished! 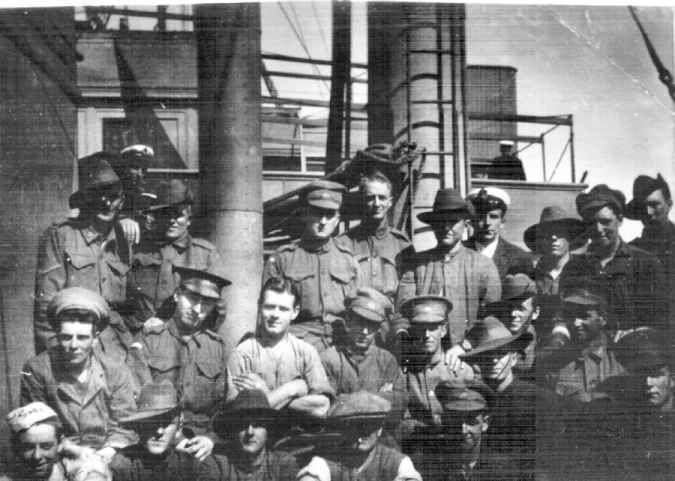 George, like the two at the front, has one stripe now and the anchor plus the dark colour indicating quite clearly that they are in the navy. 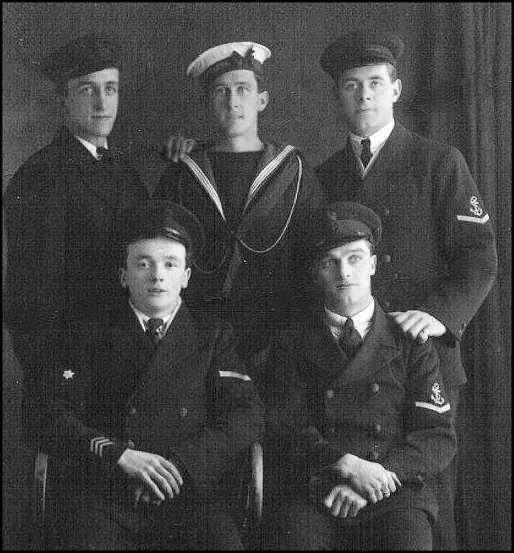 The young man on the front left also has 3 stripes on his right cuff, plus a star so he seems to of higher rank, The sailor in the middle at the back is presumably a midshipman. The inscription on his cap is impossible to read. Are they just friends or are they in a special group? George has his hand on the shoulder of the man in front - they both have the same cleft chin (common in the family!) - could they be related? George is wearing his uniform, complete with crown and anchor, with obvious pride!